Luke Ayling’s second goal of pre-season earned Leeds United a draw against Sky Bet League One outfit Southend United at Roots Hall. Samuel Saiz had the first chance of the game inside two minutes, he struck from just over 20 yards but could only fire wide. Kemar Roofe was next to try his luck from distance, but he couldn’t find the target with his effort. Michael Kightly had a good chance for the home side following a counter attack, he found himself free in the Leeds box on the left side, but blazed his shot over the bar when in a decent position. The home side took the lead in the 20th minute, another counter attack led to a Southend corner and Harry Lennon headed home a Kightly corner. Stephen McLaughlin came close to adding a second for the home side eight minutes later, his shot on the turn from the edge of the box was just inches away from finding the bottom left corner. Leeds levelled the scoring in the 34th minute, Ayling played a neat one-two with Adam Forshaw, before finding the back of the net from the edge of the box with a low curling effort. Simon Cox then went close for the home side after some good build up play, but he could only drag his attempt wide from the edge of the box. 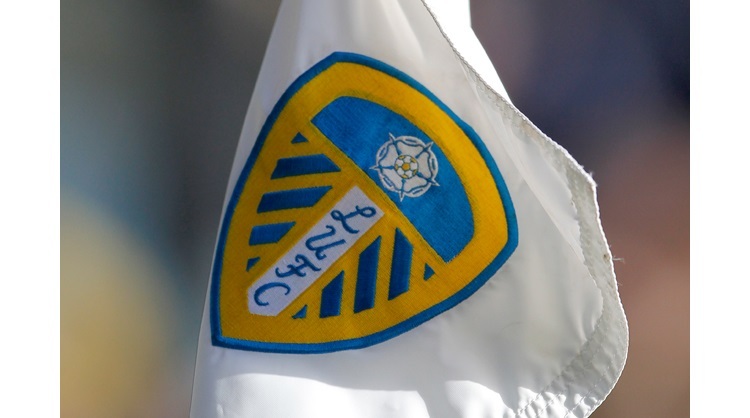 Leeds had the first chance of the second half, Ezgjan Alioski delivered a free-kick from the right wing, but Liam Cooper could only head over. Simon Cox went close on the hour mark following a Southend free-kick, Kightly delivered low and he curled a high looping effort on goal, forcing Bailey Peacock-Farrell into action. Roofe then did well to get his head on a Saiz cross from the right, but he couldn’t direct his header on target. Forward Tyler Roberts who joined Leeds from West Bromwich Albion in January was then introduced for his first Leeds United appearance after a long injury period, replacing Laurens De Bock and he was given a warm reception from the Leeds United following of 988. Southend nearly regained the lead in the 73rd minute from a free-kick, Sam Barratt headed back across goal and John White could only head wide from close range. At the other end a minute later, Leeds had a chance to go in front after breaking into the box, but Mark Oxley made a good double save to deny Stuart Dallas and Roofe from close range. Phillips then put a dangerous cross into the box, forcing Oxley into another decent stop with Roofe ready to pounce. With three minutes of regular time remaining Leeds almost won it, a Saiz cross deflected into the path of Ayling and he was only denied by a goal-line clearance from Southend substitute Michael Turner, as both sides had to settle for a draw. Southend: Oxley, Demetriou, Coker (Hendrie 84), Lennon (Turner 76), White (Kyprianou 84), Mantom (Batlokwa 69), Dieng (Hyam 9) (Klass 76), Kightly (Barratt 69), McLaughlin (Bwomono 84), Cox (Ba 69), Hopper (Robinson 69). Subs not used: Bishop. Leeds: Peacock-Farrell, Ayling, Cooper, De Bock (Roberts 62), Berardi, Forshaw, Phillips, Alioski, Saiz, Dallas, Roofe. Subs not used: Miazek, Edmondson, Stevens.